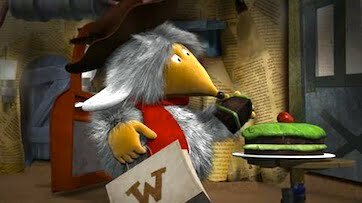 A UK broadcaster has picked up the new CGI series based on The Wombles, to be co-exec produced by the founder and former owner of UK kids TV firm Cake. Channel 5 in the UK will air the series in its Milkshake! slot in 2015, with co-creator Mike Batt onboard as exec producer alongside Cake founder Genevieve Dexter. The Wombles, who first appeared on UK television in the 1970s, are furry creatures created by Elisabeth Beresford that strive to clean up the environment by picking up rubbish and recycling the material. Batt composed the music to the original stop-motion BBC series that aired in the 1970s and went on to turn the characters into a novelty pop group. More animated episodes featuring the characters were produced in the 1990s and aired in the UK on ITV. Earlier this year, Batt took a majority share in Wombles Copyright Holdings via his company Dramatico Animation, giving him the rights to produce a new series. A live-action/CGI feature film is also in the works. Dramatico will coproduce a 52×11′ series while Dexter will be tasked with raising US$7.7m towards production costs via her consultancy firm Serious Lunch. “The rights have now been regrouped and adapted for 21st century tastes and media consumption, although the relevance of the original themes holds strong and the messages therein are perhaps even more widely accepted today,” said Dexter. “We believe there are audiences of new children and international audiences who missed The Wombles the first time around,” added Batt. Dexter told C21 that the property already has brand awareness outside of the UK in Australia, Germany and Scandinavia. “Outside of those territories the brand isn’t particularly well known, so we’ll be going there on our own merit, which is high quality animation and great narrative,” Dexter added.